We meet new people every day in our day to day life and there is a certain way in which we meet and greet them. We present ourselves in such a way that we don’t post any threat or an intention of wrongdoing to them so that the other person feels comfortable with us and has no problem having us around. The same is the case with dogs. Dogs are the most loyal animals known to mankind and most of us like to spend time with them. There may be some personal reasons due to which one is not able to have a dog at their home, but that doesn’t stop one from playing with someone else’s dog or a strange dog. But there is a way we need to conduct ourselves in front of dogs so they feel comfortable around us. Dogs like to be sure about the person who’ll be playing with them. Five tips that can always help you in getting your way with dogs are mentioned below. These are easy to follow tips and don’t require much effort on your part. One may encounter a dog with their owner while going somewhere and may have the heart to play with it. So, what should be the approach? First and foremost, you should greet the owner and ask them if it would be alright for you to play with their dog for some time. Owners know their dog the best and wouldn’t stop anyone from playing with their dog if it was not for a reason. The dog may not be comfortable around strangers and may get aggressive and anxious about them, which may be a cause of concern for everyone. If someone who is close to you is friends with someone and you come face to face with them, there is a chance that you will be friends with them as well, but on the other hand, if there is some ill blood between that person and your friend, you will be wanting that person to steer clear of your way as soon as possible. Same is with dogs, behave nicely with their owners and take their permission and it will make your chances getting acquainted with the dog a lot more than what it was 5 minutes back. And if they allow you to play with their dog, they can help you in getting familiar with the dog in a shorter period of time than what would have you taken by doing that on your own. They know what makes their dog happy and piques their interests better than anyone. They can also help you with understanding the different body signals that the dog is giving, indicating to something. It is often said that the best way to get familiar with dogs is by not doing anything. One doesn’t need to make any move at the start to get started with the dog. Everyone loves their own privacy and personal space and that is the case with dogs as well. They will be very much alert to your presence and will be carefully examining your each and every movement. You must learn to present yourself before them in such a manner that doesn’t show you are anxious. Keep a cool demeanor around them and don’t make your body stiff. Let your body go loose. The dog will sniff you. It has already been mentioned that it always helps your case if you keep a composed body around the dog and appear cool and relax. It is said so because dogs have the ability to sense if someone is fearful. This makes them a bit more defensive and agitated as well. Making a sudden movement in front of anyone will startle them, let alone a dog. You don’t want to give them any reason to be afraid of you and that’s why you should avoid doing anything that may raise a suspicion about you, making sudden and quick movements being one of them. It may be okay amongst the humans to approach each other from the front, but it certainly is not a good way to approach a dog. It will always help your case if you approach the dog from the back or sideways. This allows you to portray a person who is a lesser threat than a person who may be approaching from the front. It also helps you in seeing the body movements of the dog which can tell you about the dog. We are told from the very beginning of our lives that we should always look into the eyes of the person we are talking or interacting with but guess what, the equation changes when it comes to interacting with the dog. A direct eye contact may convey a message that you are challenging them or questioning their dominance, which can lead to an unpleasant situation. This is again a contradiction from what we do amongst us. One should offer their fists to the dog when they feel that the dog doesn’t mind their presence. The dog prefers the offering of a fist despite it being a symbol of power in human tradition because it looks smaller when compared to the hand when it is opened. How will you feel if a person whom you have just met minutes ago start touching your face and patting your head? Extremely angry. You would feel like getting away from that person as fast as you can. This is what dogs feel as well. Nobody likes to be touched on the face or be patted on the back for the record. If you want to show your love to the dog, you can opt for either rubbing their chest or the neck or gently press their shoulders. It is not advised to go too near the dog if the dog is avoiding coming that near to you. Since this is the very first meeting, the dog will be a little bit suspicious of you, however nice you are, that’s why you should not take that as a negative hint. Instead, respect whatever space the dog has provided you with and try to enjoy within that area only. A dog is relaxed when their ears are upwards and their tail is down. A relaxed dog will have a gaping mouth with its tongue slightly exposed. Such a dog will usually have their heads in a higher position. One can approach these dogs as they don’t mind a presence or two around them as long as the stranger doesn’t present any imminent danger. This is the form that you should be more careful of and must remember so that you can back out in time before any damage is inflicted by the dog on you. An aggressive dog usually will have its tail stiff and raised, the hackles on the body will be raised, wrinkled nose and their lips will be curled in such a manner that the teeth will be clearly visible along with the gum and they will be leaning forward so that they are ready to attack if you try to do anything that may seem out of place. A dog that is living in a fear should be left alone unless you are an expert because your presence as a stranger may cause them more damage than the good that you were expecting. They will have their tail tucked between the legs with no visible movement while their whole body will be lowered. The hackles on the body will be raised and the ears will be in a backward position with their pupils dilated, nose wrinkles, lips curled and the teeth visible. It should always be kept in mind that a dog might be fearing something, but it is still capable of showing aggressive behavior and may attack you if you try to do something that doesn’t go down well with them. It is very aptly said that a tiger that is cornered should be feared the most. Like humans, dogs can be stressed as well and as mentioned above, should not be approached by unless you are an expert. A dog can be identified as being under stress if they have their tail down, body lowered, ears back, pupils dilated and are panting rapidly along with sweating from the pads. One should not approach dogs exhibiting these traits, but they can help them by calling an animal shelter home who can take good care of them. A dog in a playful mood is a sight to behold because they’ll be radiating energy. 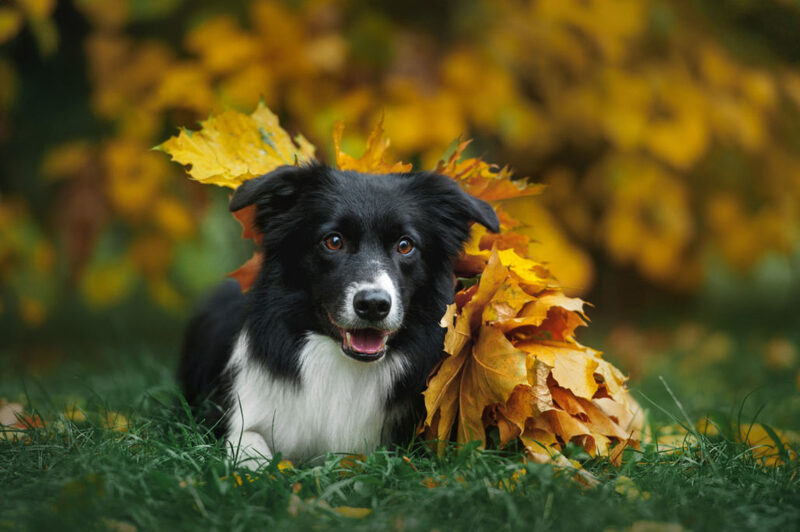 One can recognize a dog to be in a playful mood by noticing that their tail and ears are up, pupils dilated, and they have exposed their tongue by opening their mouth in excitement. They will have a body position in such a way that will help them to rocket forward. This nature is usually accompanied by excited barking and maybe some attacks as well as in invitation to play. So, these are some of the ways that one can usually look up to if they are planning to interact with a dog they have never met before. These things should be kept in mind otherwise as well so that you can help others as well who might not be understanding if their presence is welcomed by a dog or not. A true dog lover will understand that a dog, like maybe humans, may be going through some tough time and may not like any stranger’s presence at that time. One should understand that dogs also have a personal space and that should be respected, even if that means that we have to kill our own desires for a while. Author Bio: Willie May is a housewife, good mother, pet lover and a blogger. Auxier is her dog and Mimo is the name of her cat. She loves them very much. She has an aim to help other pet owners by sharing her experiences with her pets and that’s why she opened Best Pets (her personal blog) in Feb, 2017.